Some of the hottest toys for Christmas this last year were the Fingerling Monkeys. They are small little toy animals that make sounds and reactions based on your actions. They giggle, blow kisses, coo, and even fart and burp. Kids obsess over them and parents and other adults do too! 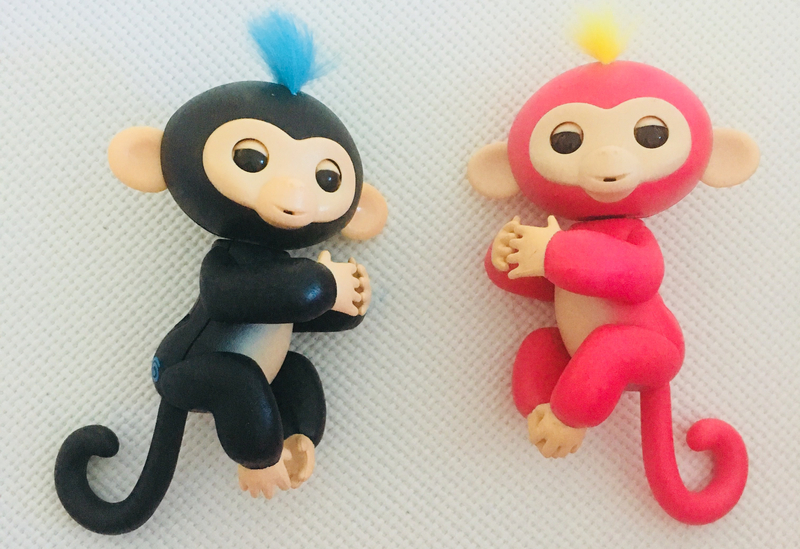 Fingerlings are small so they are portable (great for travel) and have an on/off switch in addition to going to sleep after 5 minutes of not being played with. When I saw these toys I set out to get one for my daughter for Christmas. I thought they were pretty fun, but I had NO IDEA how much she would love them! They truly are the toy of the year! Check out our new friends Bella & Finn! You can get your own here and see how many fun actions and noises they will do!